These terms and conditions are for residential customers only. For trade / commercial terms please see here. Once the product is fitted, the product is then covered by the manufacturer's warranty. 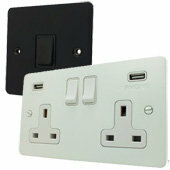 Sockets and Switches cannot be held responsible for any errors in the installation of the product. If you select the Next Day Delivery option (when available) in the basket, the order needs to be placed by 12pm (noon) so we can make, pack and have the carrier collect the order so it can arrive the following working day. We do not have weekend or timed deliveries. Any orders placed after 12pm with the Next Day Delivery option selected will be delivered in two working days eg ordering Next Day after noon on Monday, the delivery will be on Wednesday. There is an additional charge for the Next Day Delivery service which will be shown in the basket and depends on the items ordered. You can cancel your order at any time from point of ordering up to the delivery date, and then within 14 working days from the day after the date of receiving the goods, without giving a reason. You can do this by phone, email or in writing as per the contact details section. The goods must be returned in their original packaging in perfect saleable condition. Returning the goods is at your own expense and this is non-refundable. If Sockets and Switches have to incur the cost of the collecting the goods for whatever reason, a deduction will be made from the refund to cover the direct cost of collecting the goods. The full amount for the returned goods, minus any deduction for collection, will be refunded within 30 days of the date of cancellation notification using the original method of payment. This does not affect your statutory rights as a consumer. Export orders can only be cancelled and considered for a refund if your request is received within 7 working days of the order being placed and paid for. Any additional payment processing charges made at the time of order are not refundable. If you wish to cancel an Export order after the initial 7 working day time limit you must communicate your reasons to us in writing for consideration. Your request may only be accepted with the written agreement of Sockets and Switches / Iustus Ltd. Any cancellations approved by Iustus Ltd may be subject to restocking and other charges. These charges can be clarified at the time of order if requested by the importer (buyer). Once Export orders have been dispatched they can no longer be cancelled. Payment for Export Orders All export orders must be paid for in full at the time of order. Payment is usually expected by Bank Transfer and the relevant Bank details will be included with your invoice. Any other method of payment must be agreed with us in advance and may be subject to additional charges. We take complaints very seriously. At Sockets and Switches when dealing with your complaint we will be Fair, Confidential, Effective and Resolve the matter as quickly as we can. We will acknowledge the complaint within 1 working day and provide a likely timescale for resolving the dispute, always keeping you informed about progress. You can either email your complaint to us at enquiries@socketsandswitches.com or you can contact us by any of the methods listed above. Disclaimer Conditions of use of the Sockets and Switches web site. 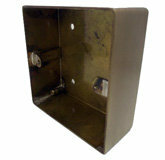 Sockets and Switches is owned by Iustus Ltd - Company No. 06067365. Whilst information provided through the Sockets and Switches web site is believed to be correct at the time of inclusion, Iustus makes no representation or warranty concerning it, any hypertext links or any other information obtained directly or indirectly from this web site and accepts no liability for any inaccuracies or omissions in the Sockets and Switches web site. All information is provided and is to be used on the understanding that the Iustus will not be liable for any loss, liability, damage or expense of whatever kind arising, whether wholly or partly and whether directly or indirectly, in consequence of the use of, or any reliance placed upon, such information by the visitor or any other person. 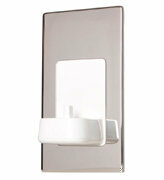 The Sockets and Switches web sites have been provided as a means of placing orders with Sockets and Switches. The sites will not be used for any other purposes, if so you will place your self in breach of UK copyright laws. Do not print, copy or store any part of this site whatsoever without prior agreement with Sockets and Switches. This includes computer systems and programs that take a copy of any parts of the Sockets and Switches web sites. Anyone who misuses or abuses the Sockets and Switches website will have action taken against them in which Iustus will seek full recovery of any losses incurred including all costs and damages. Iustus will pursue all maters to the full extent of UK/European law. Copyrights All rights reserved. The text, images, graphics, sound files, animation files, video files, and their arrangement on the Sockets and Switches site are all subject to copyright and other intellectual property protection. These objects may not be copied for commercial use or distribution, nor may these objects be modified or reposted to other sites. Some parts of the site also contain images that are subject to the copyright of their providers. 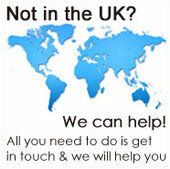 Contacting us If you have any questions about the site you can contact us on enquiries@socketsandswitches.com. 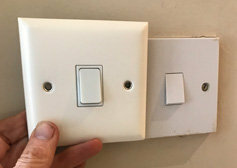 Any sites that may be linked to www.socketsandswitches.com are neither supported nor endorsed by Sockets and Switches. Using these linked sites is at your own risk.